when life gives you lemons...turn it into the best honey money can buy! our unique location at the end of the road, on the top of a mountain, in the foothills of the rockys presents some unique challenges but also unique opportunities. Knapweed is an invasive plant that covers most of the forest roads that our property borders. since neither we nor our neighboring landowners use chemical sprays it will be a part of our landscape for the foreseeable future. 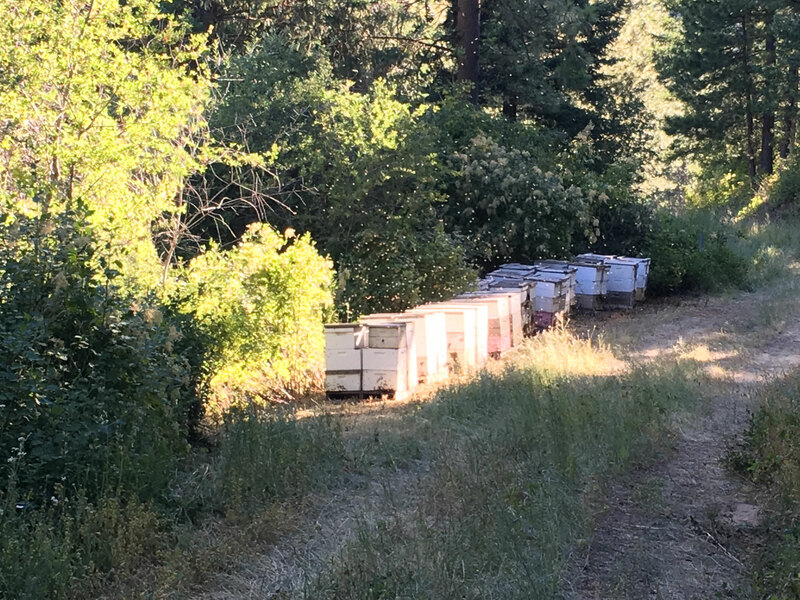 we collect this honey solely during the knapweed bloom and believe there is no higher quality honey available anywhere. 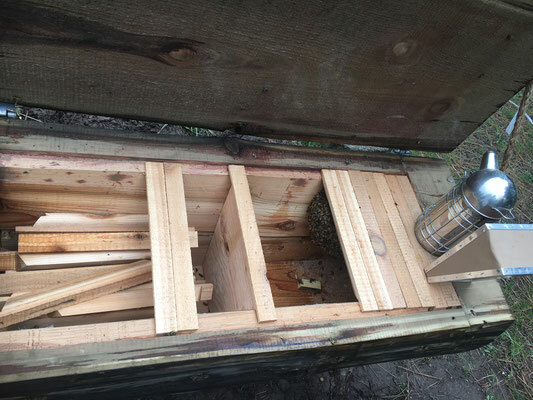 We sell a limited amount of raw knapweed honey 100% collected off our farm when this years stock is gone its gone. Our North Idaho Knapweed Honey is collected on our farm and only our farm far from pesticide and herbicide use. 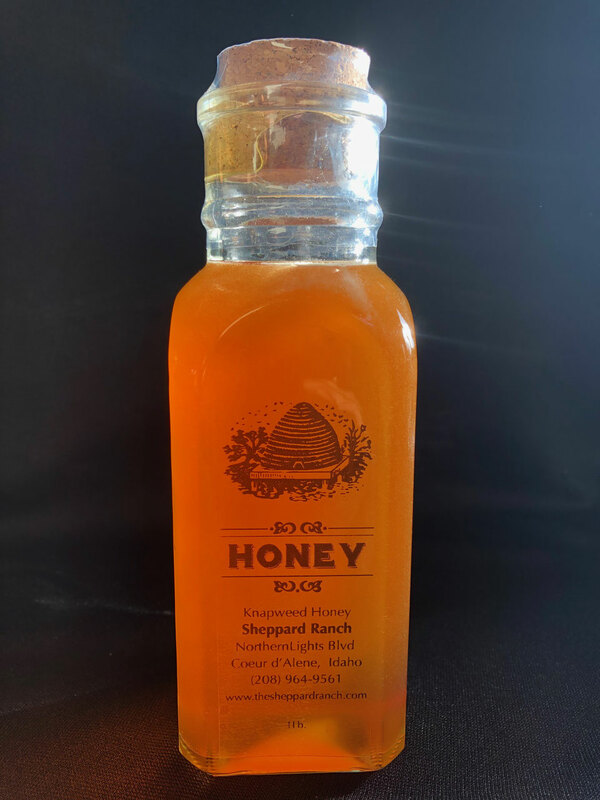 It's kept raw (No Pasteurization) with only the most minimal filtering to removed large wax particles and other impurities, leaving behind all the beneficial properties that make honey so special. 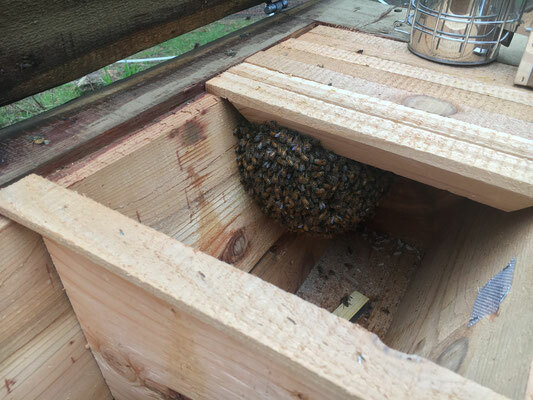 Knapweed Honey is know for having extremely high pollen counts and is sought after for its benefits to those with a variety of allergies. Used for everything from colds to cuts and with an eternal shelf life (they have found honey in Egyptian tombs still preserved) honey has no right to taste as good as it does! 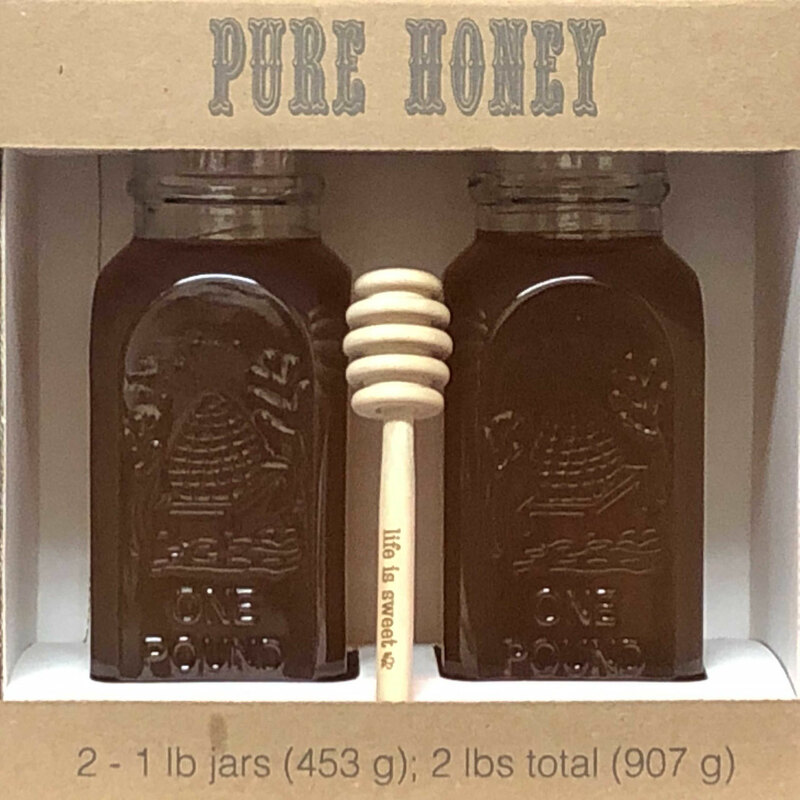 We ship USPS Priority Mail and charge $15 shipping for the first 8 lbs of honey then $2 for each additional 2 lbs above that. 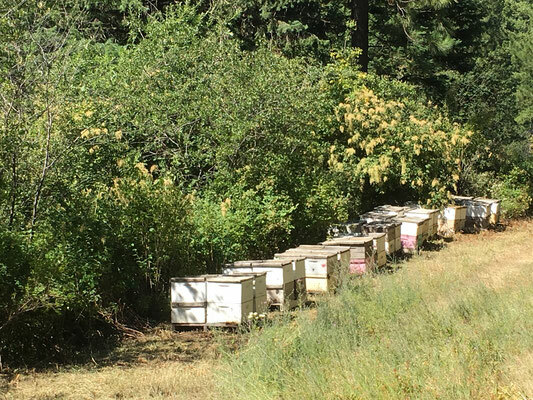 We can usually get the honey shipped within 1 to 2 business days and shipping takes 2-3 business days from there. 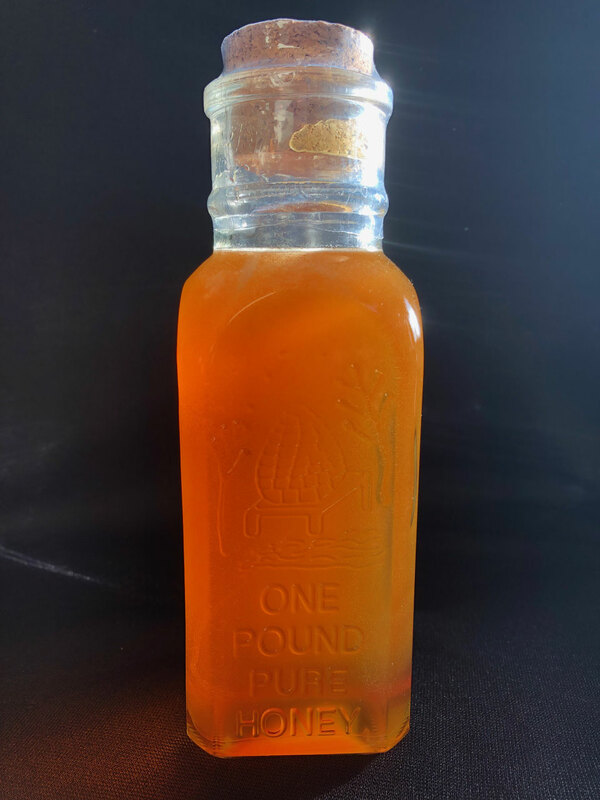 We have a limited number of old style Glass Muth Jars. Popularized by C.F. Muth in the 1800's these were one of the earliest glass jars used specifically for honey sales. Muth jars are available both as singles and as a two pack with a presentation box. They make great gifts ! We also have small 4 ounce Muth Bottles that are perfect for wedding favors etc. Please contact us directly for these as the pricing varies based on quantity with this size. Local pickup is available and we will refund all the shipping fees if picking up locally.